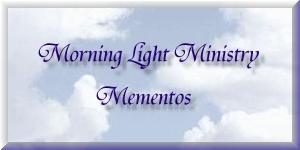 Morning Light Ministry is a non-profit ministry that relies only on donations to enable the ministry to offer these mementos at no cost to bereaved parents. 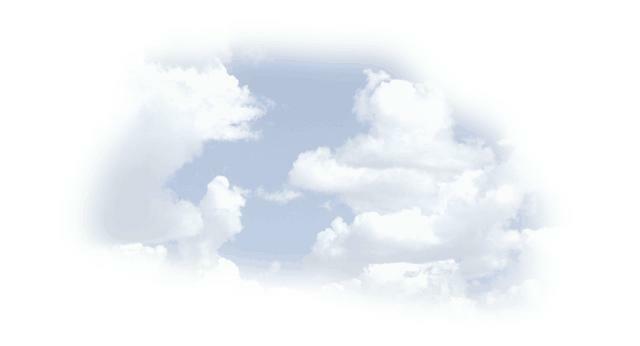 The Morning Light Ministry Resource Team is made up of bereaved parents who have been trained over many months. These trained bereaved parents volunteer their time in the position of co-ordinator and as Ministers of Care. Morning Light Ministry is a ministry and in light of that, we hold each baby who has died tenderly in our hearts, minds and souls. We are all bereaved parents who have experienced the anguish of the death of our own babies. MORNING LIGHT MINISTRY Prayer Cards. comforting Bible passages and a prayer, all specific to the death of a baby. There is a space to write in your baby’s name if you wish to do so. The prayer cards that we offer to bereaved parents are considered sacred to Morning Light Ministry. Each time we send these prayer cards to a bereaved parent, a prayer is said that the bereaved parent and their family will be comforted by the knowledge that God does indeed love them. These prayer cards are only to be sent to a bereaved parent that directly requests it from Morning Light Ministry. We will not send it to others to give to the bereaved parents. When a person finds out about the death of someone’s baby, please refer that bereaved parent to our ministry. Many bereaved parents find great comfort in creating/purchasing their own mementos in loving memory of their baby who has died through ectopic pregnancy, miscarriage, stillbirth, infant death and older child death. Even though our babies are not angels in heaven, many bereaved parents find comfort in items that depict angels since our babies are living with the angels. For example, statues or pictures (see our webpage Our Babies Are Safe With God for a beautiful painting of angels from the Vatican Museums) that you can purchase. Other parents create their own angel craft materials from a craft store (from August to December, craft stores have a lot of materials for the Christmas season). Other bereaved parents find comfort in creating their own flower bouquet or wreath to place in the cemetery. Some bereaved parents have found comfort in making a photo album/scrapbook in loving memory of their baby. A bereaved parent does not need to have photos of his/her baby in order to do this. Visit a local scrapbooking store or find a scrapbooking consultant nearest to you. There is one large company that has a website that may also give you ideas. With borders, special paper and stickers, some parents have created amazingly beautiful photo albums/scrapbooks in loving memory of their baby. Yet still other bereaved parents have planted special gardens in loving memory of their baby. Others have planted special flowers in pots in their homes. Other bereaved parents purchase letter beads, coloured beads and elasticized string from a craft store in order to make a name bracelet. Some bereaved parents purchase a rosary in pink, blue or white from a local Catholic store. Other bereaved parents find comfort in purchasing from a local Catholic store, medals to wear, pin inside a purse or place in their baby’s memory/keepsake box. For example, the Divine Mercy medal with “Jesus I trust in You”, or a medal of the saint or angel with your child’s name. Chapter 10 “WAYS TO CELEBRATE YOUR BABY’S EXISTENCE IN THIS WORLD HOWEVER BRIEF”. “Some parents like to celebrate their baby's birthday (for parents who have experienced a miscarriage, they sometimes have their day of celebration on the day of the miscarriage, some the conception time, others the due date) every year with a cake, candles and perhaps a card that they have made or purchased. Other parents celebrate their baby's birthday with a poem or a letter they write every year to their baby. If you would like to do something for your baby every year (whether on the birthday or you create a celebration day) think of the gifts that you possess inside yourself. Some examples are: you may enjoy singing and you might like to sing a song to your baby in a special place (i.e. at home, in a forest, at the cemetery), you may be artistic or enjoy crafts and you can make a gift every year. You could keep it in your home or bring it to the cemetery. You might like to visit your baby's grave or a special place and talk and/or pray to your baby and God. [We, of course, do not pray to our babies but rather, we ask our babies, as saints in heaven, to pray with us and for us.] You may like to attend Mass that day. If you have other surviving children, you may want to involve them in your birthday celebration. If they are given the opportunity they can come up with their own ways of celebrating like drawing a picture or making a birthday card or celebration card. You may have a “memory embrace” when you see something that you might like to purchase to celebrate your baby. Some examples: a picture/painting, flowers, little toy, a doll, a car, a Christmas ornament. You then may like to keep it, give it to someone special or donate it to a charity (in honour of your baby in your heart). Some parents celebrate the existence of their baby at all of the holidays like Christmas (i.e. an ornament on the tree), St. Valentine's Day (i.e. their other children make valentines for the baby), Easter (i.e. a special basket of candy in honour of the baby that the other children can split up and enjoy! ), Thanksgiving (i.e. a special candle lit to thank God for the baby's existence on earth no matter how brief and how the baby lives with God in Heaven). Many parents feel if they "include" the baby in their family life throughout the year it helps them feel comforted and their surviving children are comforted with the knowledge that they won't be forgotten if they died which some children worry about. The baby then becomes a member of the family that simply has passed on to the Afterlife. As the surviving children get older, these celebrations may become less significant for everyone (including the parents) and that is okay. It does not mean that the family forgets the baby, it just means that that is the way they grieve. For other families, the celebrations remain significant and that is okay also. Everyone grieves and celebrates in different ways. Whether a parent likes to "celebrate" or not is unimportant. What is important is that each parent is given an opportunity to grieve in their own way without sarcastic and insensitive comments from others. At the Roman Catholic CHURCH OF THE HOLY INNOCENTS in New York City, you may have the name of your baby inscribed in a "BOOK OF LIFE" that rests between the statues of the Holy Family at THE SHRINE OF THE HOLY INNOCENTS within their church. The Shrine is dedicated in memory of the children who have died unborn. On their website they have a photograph of the Shrine and THE BOOK OF LIFE FORM to enter your child's name. The Shrine always has a candle lit in the memory of all of the babies inscribed in THE BOOK OF LIFE. All day people stop to pray. Every month a Mass is celebrated in honour of these children and for the comfort of their families.